The Almazov Centre participates in 14 scientific platforms of the Russian Ministry of Health and its specialists are included in the expert groups in six of these platforms. The research teams of the Centre were actively involved in shaping the research topics for these platforms. In 2017, the Centre carried out research work on 43 scientific topics selected by the experts as part of the state assignment on science. The Centre has more than 835 scientific staff members, 107 research departments and laboratories. The total Hirsch index of the research staff is 1,607. The Centre holds 20 critical scientific technologies and has mastered new technologies, including intraoperative monitoring of myocardial ischemia/ischemia-reperfusion injury by fluorescence imaging, near-infrared fluorescence organoscopy, patch clamping of cardiomyocytes and fat cells. Innovative technologies were introduced into practice, including vagus nerve stimulation for the treatment of heart failure, spinal cord stimulation in patients with refractory heart failure, lingual stimulation in vegetative states, electroconvulsive therapy in patients with akinetic mutism, staged surgical treatment of drug-resistant epilepsy using the technique of extraoperative mapping of the epileptogenic zone, selective endovascular embolization of extra/intracranial malignant tumors, two-level cerebral protection in patients with severe brain injury using physical and pharmacological methods, etc. The Centre has been actively participating in the clinical testing and has developed 35 treatment protocols. In 2017, the Centre participated in 55 protocols and treated a total of 566 patients. The Centre has agreements on scientific cooperation in various fields with 22 universities and research institutions from around the world. In 2017, 19 publications were made in cooperation with the international partners. In 2016–2017, new memoranda on cooperation were signed between the Centre and foreign scientific and educational organizations, including the Lithuanian University of Health Sciences, Nicolae Testemițanu State University of Medicine and Pharmacy (Moldova), International Chronic Myeloid Leukemia Foundation (Great Britain), London School of Hygiene and Tropical Medicine (Great Britain). Under the agreement with the National Research University Higher School of Economics, joint activities are carried out with the International Centre for Health Economics, Management, and Policy. The training under the Computational Biomedicine master's program is delivered jointly with the University of Amsterdam under the agreement with the University of Information Technologies, Mechanics and Optics. 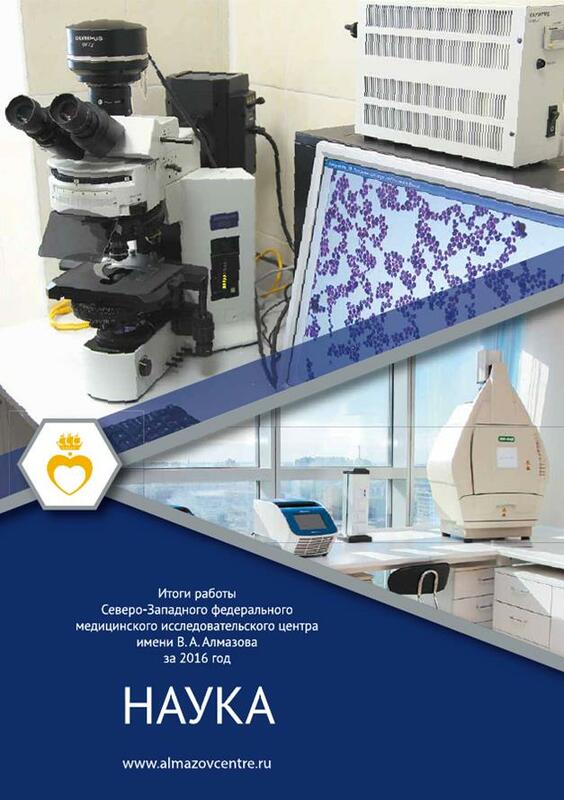 With its high-performing research team, the Centre became one of the leading scientific medical institutions in Russia, and in 2015 established the scientific and educational cluster Translational Medicine involving research organizations, universities and industrial companies. On 16 November 2017, the agreement on cooperation was signed between the Translational Medicine cluster, the University of Tampere (Finland) and the Baltic Institute of Finland. The agreement provides for the establishment and development of the system for the introduction of medical innovations. At the end of 2016, the Preclinical Translational Research Centre was commissioned. The Preclinical Translational Research Centre with its Animal House is designed for testing the safety and efficacy of new medicinal compounds in tune with the current international practices. The research laboratory units of this Centre will comply with the international standard for Good Laboratory Practice (GLP), the National Standard of the Russian Federation (GOST R 53434) and the order of the Russian Ministry for Health and Social Development. The Preclinical Translational Research Centre has a permanent quality assurance system in place. The Centre’s staff will receive regular training and master new skills in the recognized educational institutions both in Russia and abroad. The Preclinical Translational Research Centre makes it possible to conduct unique experimental studies in compliance with all requirements of international standards. The Centre can handle experimental studies of any complexity, including the development and testing of new drugs and biotechnological products, creation of new experimental models. The Animal House provides the optimal conditions for the breeding and maintenance of various SPF animals. The Department of Biological Models will work on creating transgenic and knockout mice to study the in vivo activity of the tested drugs. The laboratory unit of the Preclinical Research Centre will enable researchers to assess the acute and chronic toxicity of drug compounds, the carcinogenicity, embryo- and immunotoxicity of drugs, study their in vivo activity and monitor the interaction of drugs with specific molecular targets in the whole organism.